As tax day draws near, if you are like most people, you’re looking for any possible way to lower your bill and keep more money in your pocket. Because the tax code is so complex — literally thousands of pages full of thousands of rules, regulations, and procedures —many individuals just throw up their hands in frustration and take the standard deductions on the easiest forms. The problem with that approach is that while it saves you time and potential headaches, it doesn’t always save you money. 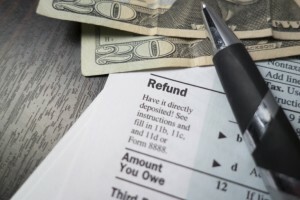 Sure, you can take the standard deduction and itemize a few expenses, like education and contributions to charity, to lower your tax bill, but there are undoubtedly a few more deductions that you’re entitled to take. It might sound unbelievable, but Uncle Sam doesn’t want you to have to pay tax twice. And in some cases, when you do not deduct the sales tax you’ve paid over the course of the year, you are actually paying taxes twice. The IRS allows taxpayers to deduct either the state income tax that you paid in the previous year, or the sales tax you paid, based on your income and your state’s sales tax rate. If you live in a state that doesn’t charge a state income tax, deducting sales tax is kind of a no-brainer — especially if you made a big-ticket purchase like a car or a boat. Since you can’t deduct both income and sales tax, it’s in your best interests to calculate which is the better deal. The IRS charts for sales tax deductions do not include taxes paid on boats, planes, or automobiles, meaning you can add sales tax paid to the amount shown in the chart — which could lead to a larger deduction than state income tax would. Okay, so you probably know that you can deduct charitable contributions. You may have even made major contributions with the express purpose of lowering your tax bill; for example, when you moved across the country, you made a boat donation in California to avoid paying moving costs with the added bonus of a hefty tax break. However, don’t forget to itemize your smaller donations too. For example, if you purchased ingredients to make cupcakes for the school bake sale, save your receipts, as they are tax deductible. If you drive somewhere to volunteer, you can deduct 14 cents per mile, plus parking and toll charges. Even if you don’t write big checks to charity, the little things you do can all add up. Airline baggage fees are annoying, but if you paid them while traveling for business, they are tax deductible (assuming your employer didn’t already reimburse you, of course). Other business expenses you can deduct (in most cases) include professional license fees, books, and magazines you use for work, and continuing education. However, there are a few less obvious potential deductions as well. If you have to purchase certain tools and equipment for your work, you can deduct them — even those that are out of the ordinary. In one notable case, for instance, a body builder was able to deduct the oils he used for competition as a business expense, since they were important to his livelihood and only used for the competitions. He was not, however, permitted to deduct the nutritional aids or supplements he used, because the IRS did not deem them vital to his work. Depending on your work and whether or not certain expenses directly relate to your career (and whether you actually have to pay them) you may be able to deduct clothing, salon services, cosmetics, and more. When your medical expenses amount to more than 10 percent of your adjusted gross income for the year, you can deduct them — a boon to those who have high deductible insurance coverage. However, certain medical expenses aren’t generally allowed, such as cosmetic procedures, unless your doctor recommends the procedures as part of a treatment plan. In other words, if you simply head out for a nose job because you want to look like Jennifer Aniston, no dice on the tax deduction. If you have a deviated septum or another issue causing breathing problems, and your doctor just happens to reshape your nose in the process, well, you might be able to make a deduction. Taxes can be tricky, and taking deductions you’re not entitled to can lead to even bigger headaches, not to mention penalties and fines. 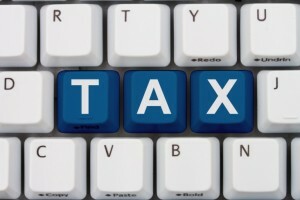 It’s best to work with a tax professional if you have many deductions, especially unusual ones. He or she can tell you when you’re going too far, or save you cash by getting you the breaks you deserve. These are good deductions but the thing to remember is that your expenses have to come above the standard deduction in order to itemize. High income taxpayers may have paid state taxes higher than the standard deduction. Mortgage interest and property taxes are deductible if you own a home. Medical expenses are limited to any amounts above 10% of your adjusted gross income (7.5% if you or your spouse is 65 or older). They include insurance premiums, copays, drugs dental, vision and other necessary items. Long term care insurance premiums can also be deducted up to a point. Charitable contributions can be limited if they exceed 30% or 50% of your adjusted gross income depending on the type of contribution. You also need to keep receipts in case of audit. Also, deductions for donations of property are limited to the lesser of your cost or the fair market value of the item (i.e. your $200 leather skirt may only have a thrift store value of $10). You will need a form 1098-C from the charity if you donate a motor vehicle or boat and wish to write off more than $500. 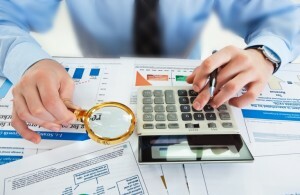 Employee business expenses are limited to any amounts above 2% of your adjusted gross income. Most low and mid-range earners without a home will not be able to take advantage of these deductions because they will not add up to the standard deduction amounts. Myke: What does RTRP stand for? I wasn’t surprised to see a comment from you because your previous comments have shown much knowledge about finances.